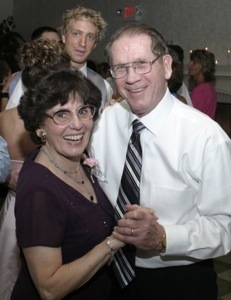 Last month, my grandparents celebrated their 58th wedding anniversary! When Adam, the girls, and I, took our annual fall trip to South Bend this past weekend, we visited my grandma and grandpa. 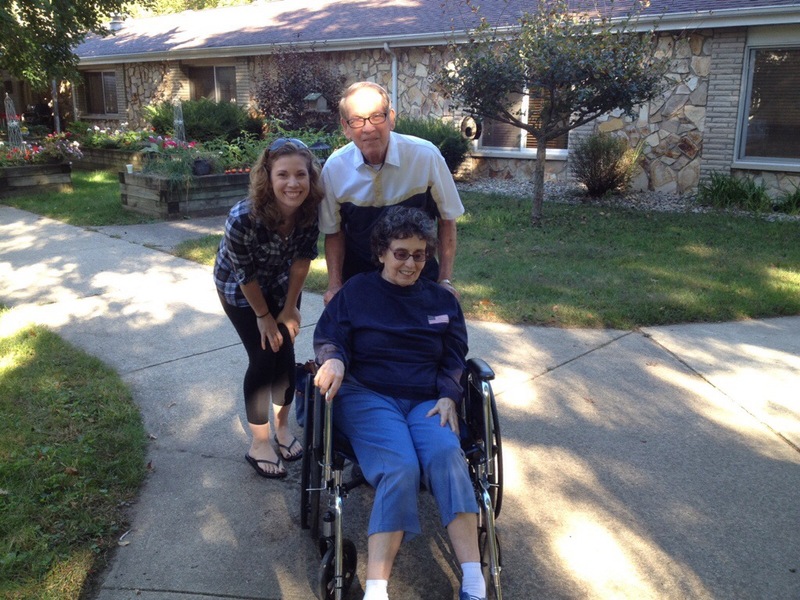 This was the first time that I saw my grandmother in the nursing home that she moved into a few months ago – and the first time she didn’t remember who I was. 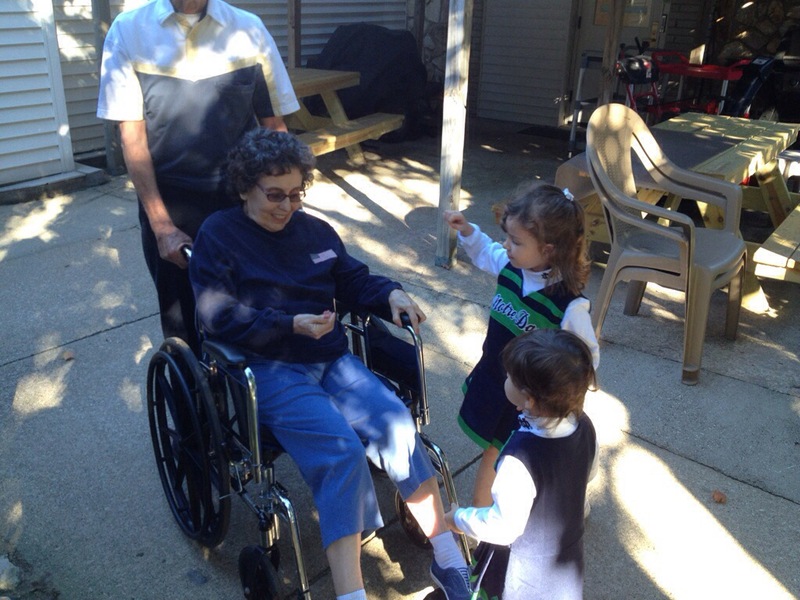 We had such a nice visit, though, and she loved seeing her great-granddaughters, even though she didn’t realize who they were in relation to her! My grandma has vascular dementia. My grandfather tried to take care of her as long as he could at their home, but it became too difficult, even with some in-home care. During our visit in the nursing home that beautiful fall Friday morning, I was able to see what real, sacrificial love looks like. …combing your wife’s hair when she can’t do it herself. …picking out a pretty shade of pink nail polish so she can have her nails done. …pushing your wife in a wheelchair while your great-grandkids dump acorns and leaves in her lap. …holding hands while listening to the Swing Sisters provide musical entertainment for the residents. …visiting twice a day every day because it’s so hard to be apart. My grandpa also shared with me this poem that he found in the newspaper. Can’t be different, though I try. Please don’t fail to stand beside me! Caring for a spouse with Alzheimer’s, may be one of the most selfless, loving things anyone can do. My grandparents have been such a blessing in my life, and still are! If you have a moment, please offer a prayer for them! I’ll pray that all you married couples will enjoy 58 years together, too! What a beautiful example of unconditional love! It might be my pregnancy hormones, but even without them I still think I’d be crying my eyes out right now all the same! This is so beautiful; happy anniversary to your grandparents!! Thanks! I know that whenever I read anything that’s about love and truth, it gets me! Hope you’re feeling well! I know that you’re getting close to meeting your little one! Exciting! What a beautiful tribute!!!! rock on good, holy marriages!! !